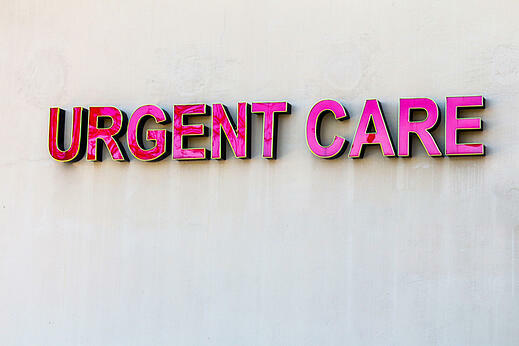 Urgent care clinics play a critical role in local communities. They allow individuals to receive quick access to care during hours that their family doctor may be unavailable or when they don't have time to make an appointment. Urgent care has helped reduce the strain on emergency rooms throughout the country and alleviate the high costs of healthcare for millions of American families. Despite the demand for urgent care, many clinics face a number of challenges when growing their business. There are still individuals who are not aware of the full range of ailments that can be managed at urgent care clinics - making it extremely important for them to raise awareness in their communities. Additionally, the urgent care clinic business model relies on repeat business, which can be elusive as patients may feel more comfortable returning to their primary care physician for follow-up or future visits. To sustain long-term operations, clinics must become more effective at retaining patients. And lastly, they must find unique ways to stand out from the competition. Partnering with Joplin radio stations, however, can help clinics overcome these challenges while reinforcing their brand message and educating local healthcare consumers. Below are a few key ways Joplin radio can attract more patients into your urgent care clinic. It's difficult to find a method of advertising as universal as radio, as it reaches almost every adult (93%) on a weekly basis. For example, the six radio stations that are a part of the Zimmer Radio Group reach over 190,000 different consumers in Joplin and the surrounding Four State area each week. This expanded reach is an important first step in growing your business, as you begin to educate consumers about how your urgent care clinic can solve their immediate healthcare concerns. Unless an individual has already visited an urgent care clinic, it's unlikely that they know the full extent of the services that you offer. For example, many urgent care clinics are able to do lab tests or X-rays more conveniently and quickly than a primary care provider - a huge advantage to healthcare consumers in need of these services. When you share this message over a high-reach medium such as radio, you’re able to stay top-of-mind with potential patients and leverage the power of frequency to reinforce your message - thus boosting awareness. Many businesses find success by positioning themselves as assets to the communities that they serve, and this is incredibly important for urgent care facilities. Getting involved in local events and functions, as well as familiarizing yourself with local leaders, are key ways to connect to potential healthcare consumers. Radio can be leveraged to support these outreach initiatives in a variety of ways, including co-hosting live events, supporting a local cause, and sponsoring radio events that benefit a critical need within the community. More than 75% of radio listeners tune in primarily to hear their favorite radio personalities or DJs on a daily basis, making these individuals ideal endorsers for your business. The trust that grows over time between a radio personality and their audience can be transferred to your clinic when DJs endorse your brand or a specific service. Building on this trust allows your business to expand beyond your core base of patients to the broader community. Joplin radio is the ideal way to educate healthcare consumers about the wide range of benefits of visiting their local urgent care clinic. The added trust and community awareness are key to attracting and retaining new patients to help you overcome your business challenges, and thus, grow your business.